Offering support to both trainee and practising teachers, the fourth edition of The Really Useful Science Book is the perfect tool for those who wish to extend their subject knowledge, enhance their teaching and create lessons which link directly to the National Curriculum. 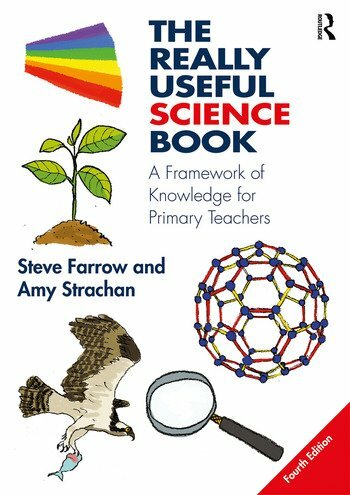 The easy-to-follow framework provides comprehensive science knowledge for Key Stages 1 and 2 and is fully updated with new material to inspire stimulating and engaging science lessons. The book is divided into three sections: Biology, Chemistry and Physics. Each section integrates key scientific ideas and facts with innovative teaching methods and activity suggestions, and user-friendly language and illustrations help to explain key scientific concepts. With links to global learning, discussion of common misconceptions, and ideas for cross-curricular opportunities, each chapter connects knowledge to practice and informs creative and inspiring teaching. The Really Useful Science Book is an invaluable reference resource for all classroom teachers who wish to develop the confidence to teach enquiry-based practical science with relevance to pupils and their global community. Steve Farrow was Senior Lecturer in Science Education in the School of Education at Durham University, where he was also director of Primary ITT programmes. Amy Strachan is Senior Lecturer in Primary Science Education at St Mary’s University, Twickenham, UK. She has more than 10 years of experience as Head of Science in international, state and independent schools and has produced teacher materials for both the BBC and Oxfam.